When there are events like floods, you will find us there, helping those who have been afflicted. 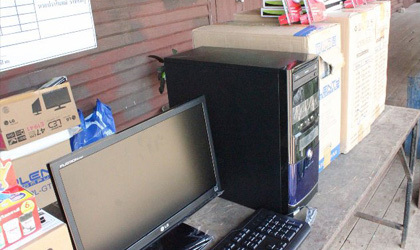 We supply computers and laptops to schools and students who need them most. We deliver scholarship programs and distribute grants, so that everyone can follow their heart. We teach English and help those who need business skills. Our support is aimed so that people can get ahead. We work with a number of agencies and other charities, to ensure we deliver the best help possible. We supply computers to help local schools and ensure children get the best education they can. We arrange english lessons taught by qualified professionals.